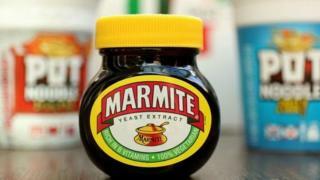 Unilever, the consumer goods giant that makes Marmite and Dove soap, has chosen Rotterdam over London for its headquarters. The Anglo-Dutch firm said it would now be one legal entity in the Netherlands in a bid to become "more agile". Unilever's dual-headed structure has existed since 1930, when Dutch margarine firm Unie merged with British soap maker Lever Brothers. The company said the decision over its HQ was "not about Brexit". At the same time, Unilever - which also makes Pot Noodle and Ben & Jerry's ice cream - said it would be reorganising its business into three divisions: beauty and personal care, home care, and foods and refreshment. The Beauty and personal care and home care divisions will be headquartered in London, while foods and refreshment will continue to be based in Rotterdam. 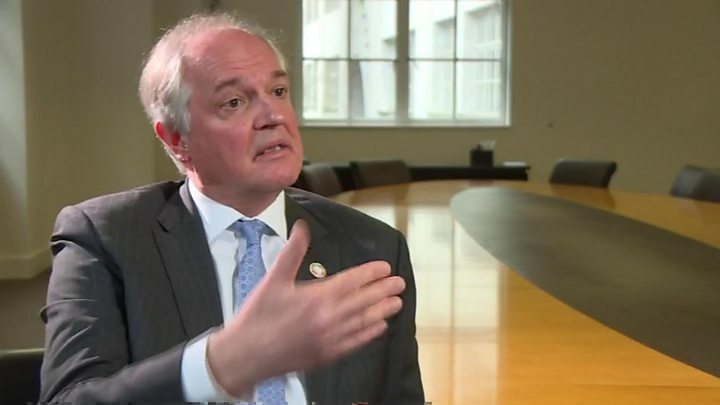 Unilever chief executive Paul Polman told the BBC the leaders of the first two divisions were being brought to the UK from the US and Singapore, "and related to that, there will be transfers of jobs as well". The company employs 7,300 people in the UK and 3,100 in the Netherlands. No jobs will be lost by the move. Unilever is one of the largest companies in the UK's FTSE 100 share index, but is not expected to remain in the blue-chip index after the move. However, its shares will continue to be listed in London as well as Amsterdam and New York. A government spokesperson said: "Unilever has today shown its long-term commitment to the UK by choosing to locate its two fastest-growing global business divisions in this country. "As the company itself has made clear, its decision to transfer a small number of jobs to a corporate HQ in the Netherlands is part of a long-term restructuring of the company and is not connected to the UK's departure from the EU." Mr Polman told BBC Radio 4's Today programme that the move to a single legal entity was being made for "technical reasons", as the bulk of its shares - 55% - were traded in the Netherlands. "This is not about Brexit," he said, adding that "both countries are attractive from an investment point of view". However, anti-Brexit campaigners described the move as a "major blow" to the UK government as it prepares for next year's exit from the European Union. The chief executive of the Best for Britain group, Eloise Todd, said it showed "what business really feels" about the UK's departure from the EU. She added: "The government are saying to anyone who will listen this is not to do with Brexit, but anyone with any sense knows it's a factor. "The company has had an HQ in the UK for over 90 years, and all that history and legacy has gone down the plughole." Unilever announced a review of its dual-headed structure last year, after it foiled a $143bn takeover offer from Kraft Heinz. The company has had talks with the governments of both countries in the run-up to its decision. According to reports, Mr Polman lobbied the UK government for changes in UK takeover rules, while the government expressed concerns over Unilever's decision to pick Rotterdam for its HQ. Speculation that it would choose the Netherlands has increased in recent months, following the proposal of a tax change by Dutch Prime Minister Mark Rutte, himself a Unilever veteran, seen as benefiting Anglo-Dutch multinationals. Since 1930, Unilever has operated with two parent companies - a British PLC headquartered in London and a Dutch NV based in Rotterdam. Although run as one company, the distinct legal entities have different shareholders, separate stock listings and annual meetings and are subject to different laws and corporate governance requirements.